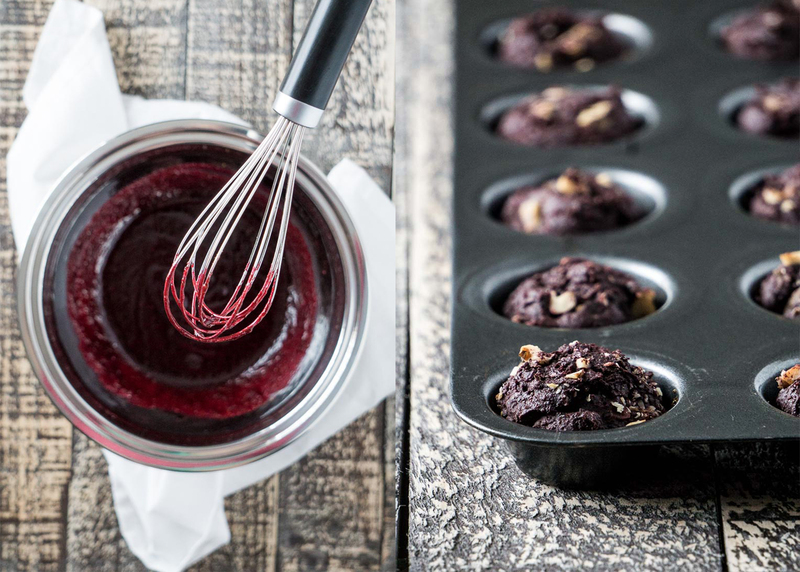 Beet Brownie Bites | Eat. Love. Namaste. Usually, when I am cooking or baking, I am either listening to music, the news or a podcast. The other day, I was in the mood to listen to Michael Jackson. I started playing his classic hits and then ‘Beat it” came on (one of my favorites). While I started dancing and singing, that’s when it hit me → beet-it brownies! And Oh-My-GOODNESS am I’m glad that I thought of these because beats and chocolate are super delicious together! Before you cringe or make a ‘yuck face,’ you have to try it! 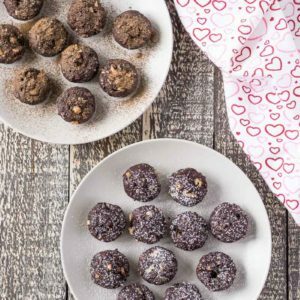 These brownie bites are completely vegan, made with wholesome ingredients and are truly delicious! 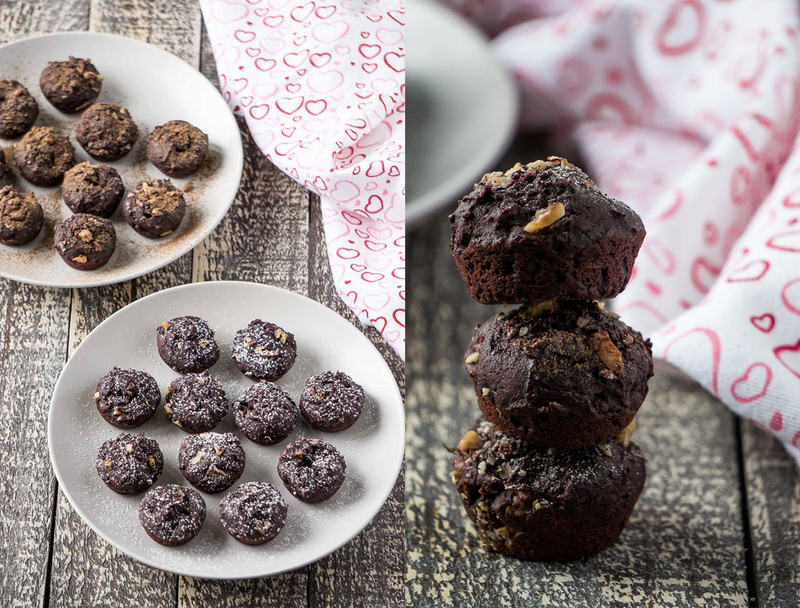 They can be the perfect decadent treat for Valentine’s Day (or any other day of course!) because they have chocolate for one (a girl’s best friend) and they are little bites, duh! 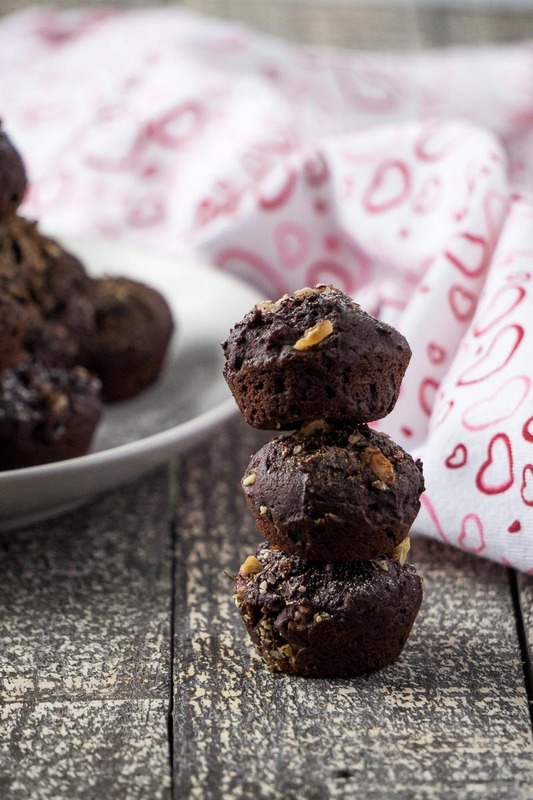 These bites are super moist and chocolatey inside, has zero beet taste (just gives a lovely red color) and easy to take to your loved ones; or to share at work! I hope you all love these! They are truly a decadent treat! 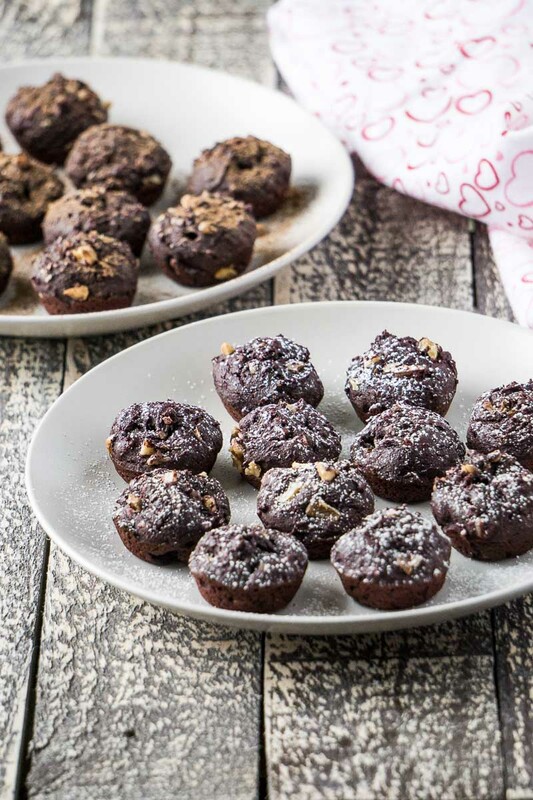 These decadent Beet Brownies Bites are made with natural ingredients, and is the perfect treat for a special occasion or a small dessert! Preheat your oven to 350 degrees Fahrenheit and spray a 24 mini-cupcake pan with coconut oil and set aside. In a small bowl, mix the ground flax seed with the water and set aside to sit for at least 5 minutes, until the mixture becomes sticky. In a medium-size bowl, mix the coconut sugar, vanilla extract, coconut oil, beet puree, and flax seed mixture until incorporated. To break up any clumps in the dry ingredients, carefully sift the flour, salt, baking powder, cinnamon, and cacao powder over the mixing bowl. Add the dry ingredients to the wet ingredients in small batches, mixing until incorporated. Mix in chopped walnuts and chopped chocolate. Remove from the oven and remove the brownie bites to a cooling rack. Enjoy as is, or sift powder sugar or cacao powder on top! Clean the beets and place them in a medium-sized pot covered with water. Cook the beets over medium-high heat until soft (easily prick the beet with a fork). Drain the water and peel the skins off the beets (the skins should come off by scraping the skins with a spoon). Add beets to a high-speed blender or food processor and add 2 tsp filtered water and blend until smooth.